In 1962 I was asked to present a clinic with Louie Bellson at a local hotel in Rochester, NY. I was teaching at the Eastman School of Music and a local music store – Music Lover’s - was sponsoring the event. Ben Strauss of Rogers Drums contacted me and the date was set for November 7, 1962. Louie did the drum set and I did the classical snare drum. Since I also played drum set Louie and I traded fours etc. It was also at this time that I was teaching Steve Gadd and he was in the audience. I told Louie that he should hear this kid play. Louie invited him to the stage and Steve blew Louie away. It was at this moment that Steve, Louie and I became good friends for life. Ben Strauss and Rogers Drums offered me a sponsorship and I purchased Rogers Drums for the Eastman School of Music that included concert snare drums, field drums, tom toms, bass drums and a drum set. To this day 55 years later some of the equipment still remains at the Eastman School of Music. The Dynasonic snares remain in good condition as well as the other equipment. I also acquired a personal 6-½ X14 concert snare drum that was in my studio and every student that auditioned for me played on that drum. I had endless compliments about the great sound of the drum. The number on the drum is 1470. I also acquired a drum set and the 5X14 snare drum number is 1913. 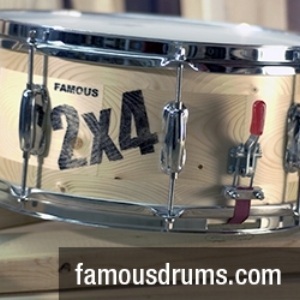 6 ½ X14 Dynasonic concert snare drums - #52393, #11983, #D70395, #12044, #15723. Pictures: 6 ½ x14 personal snare drum, personal drum set, composite picture of some of the Rogers drums acquired by the Eastman School of Music - from left to right – John Beck, Ruth Cahn and Steve Gadd, Eastman school of music snare drum and field drum. 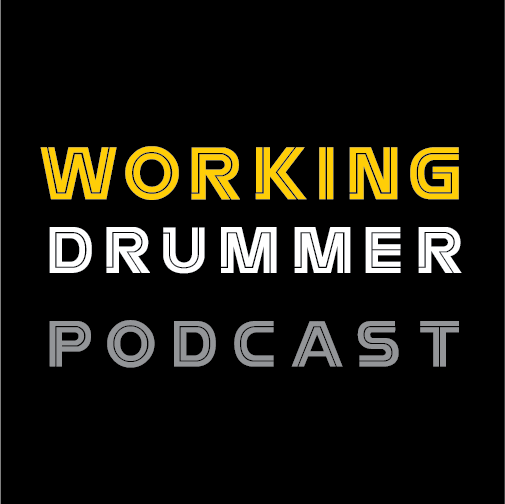 While this story does not date back to the early days of drums it does represent a period in drum history that represents a product that was in a renaissance mood for the time. 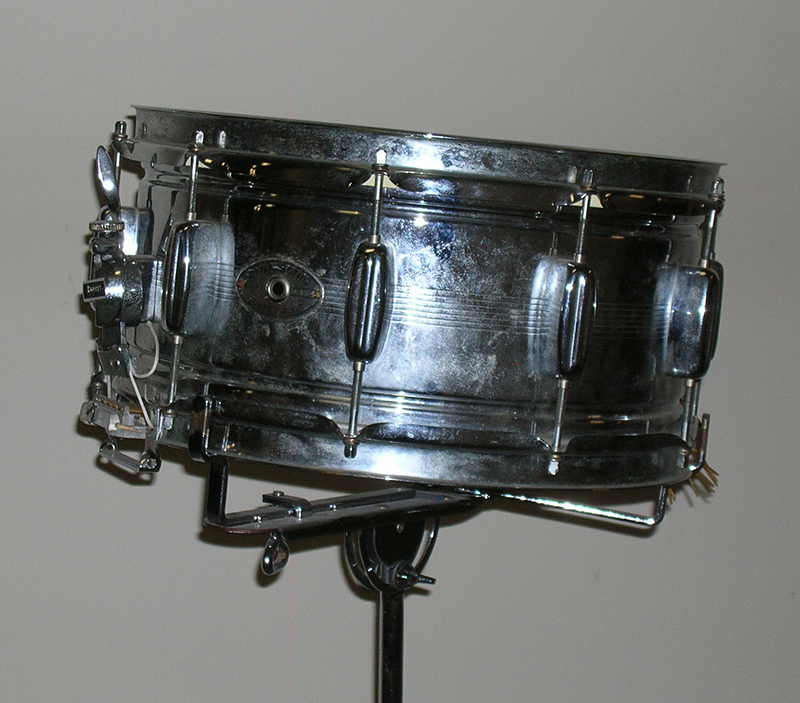 The snare strainer, the swival-o-matic hardware and the full open sound that the drums produced was admired by the percussion community. Ben Strauss and Joe Thompson were pioneers in the development of the Rogers Drums and did a great service for the future of percussion. On a personal note as Louie and I were finishing our clinic I got a call from my wife suggesting that I come right home after the clinic because she was going into labor and I needed to get her to the hospital. My daughter was born the next day November 8, 1962 and although her name is Laurie we called her “The Dynasonic Baby”. She is now a professional photographer in Philadelphia. My association with the Rogers Drums was a good one. As I look around the Eastman School of Music I see Rogers Drums in every corner. Although many of the drums have been replaced with other brand equipment, they still remain a staple in the percussion department.